Fruity and sweet, this coffee reminds us of apples in its aroma. It's body is creamy with a mild and soft juiciness. The flavor of white grapes creates a round flavor, complemented with brown sugar and sweet malts. The bitterness is very nicely balanced with creamy semi sweet chocolate. The aftertaste is relatively short but clean and juicy with hints of nuttiness. Subtle but sweet, we catch whiffs of nuts and fruit. Rich and round its body is full and juicy. Vibrant and balanced, the flavor is lush and winey, sweet like fruit candy, grounded by rich nuttiness with hints of chocolate. The aftertaste is bright up front, mouth coating, and lingers into cedar and earth. In three words this coffee is Mellow, Sweet and Full Bodied. Categories: Coffee Ratings. Origins: Colombia. Brew Descriptors: Full Body, Mellow, and Sweet. 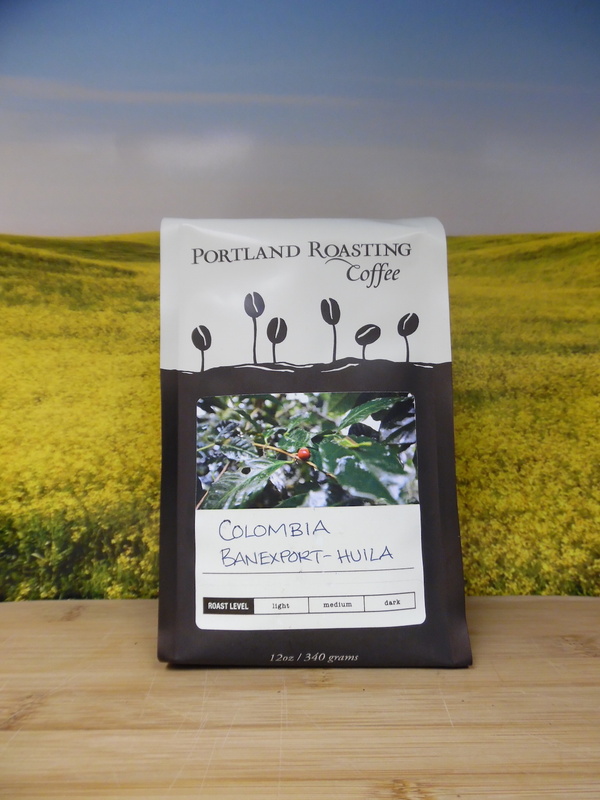 Roasters: Portland Roasting Coffee.